The last two books I’ve read dealt with the history and philosophy of candle magic in the African-American Spiritualist tradition. This particular approach to candle magic originated in the South, especially New Orleans. 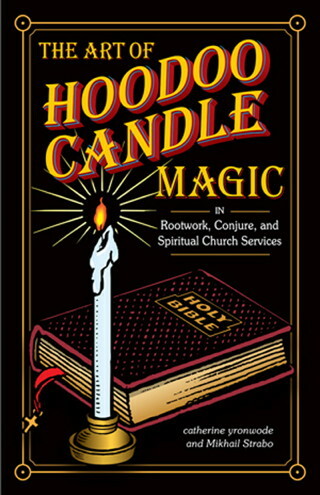 It’s a mixture of African-American folk magic and Roman Catholic candle lighting that can also include elements of Jamaican Obeah, Mainline Christianity, Jewish Kabbalah, and Spiritualism. 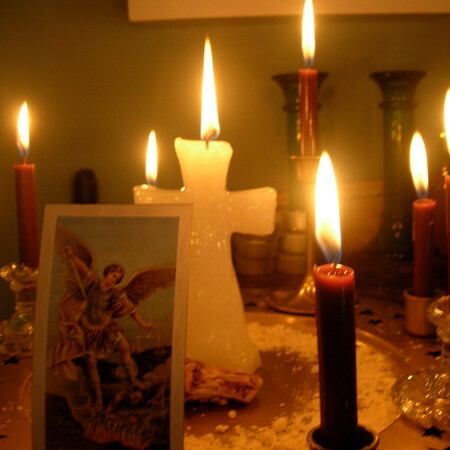 I find this approach to candle magic interesting for several reasons: 1) It shows yet another group of people who incorporated Pagan magical traditions into their Christian faith and saw no contraction between the two. 2) Although this form of candle magic has its roots in Africa, it is strikingly similar to European Pagan candle magic. Some of it is very Gardnerian (see Henri Gamache) with high ritual and complex steps that must be followed. Other variations are meant for simple town and rural folk who didn’t have a lot of money but used what they had around them including homemade candles, brown paper bags, a Bible, and herbs. It’s rather fascinating to see how similar these two candle magic traditions are. They originate from two separate continents, yet contain almost identical elements. I also suspect that as this Spiritualist tradition spread Northward, others incorporated European folk traditions into it. This is especially true of the Blue Ridge Mountains where I live. The “mountain hoodoo” that is practiced here has roots in both European and African traditions. It just goes to show you that we all go through a process of taking what is useful, in terms of ritual and belief, and incorporating it into our spiritual practice no matter what tradition it is from. We are all spiritual “mutts” in this regard and I wouldn’t have it any other way. If you’re interested in learning more, I recommend the following books which can be ordered through Amazon. They are a quick read but are packed with lots of info. This entry was posted in Magic, Prayer and tagged Candle Magic, Christian, Hoodoo, Pagan, Spirituality, Wicca. Bookmark the permalink.